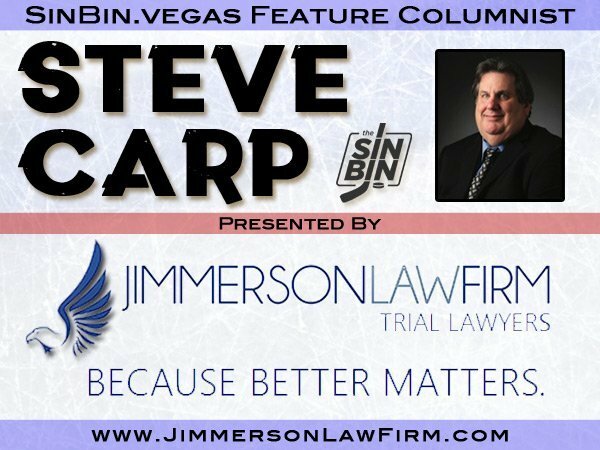 We’re heading up to Game 7 and we chat all things VGK vs SJS plus a bunch of side topics like we always do in drive-along ones. Hosted by Ken Boehlke and Jason Pothier. Last year when the Golden Knights needed to win a game, they got it pretty much every single time. Whether it was off a bad road trip, following a tough few losses at home, or even through the playoffs when they were in danger of falling well behind in a series, they always rose to the occasion and got the job done. With the exception of one time. Vegas fell behind 2-1 in the Stanley Cup Final, couldn’t get a puck to go early in Game 4 and faded away to the darkness in Game 5. That team was used to it all going right, and then it didn’t, and they crumbled. This year, it hasn’t gone quite that way. Big periods, big games, big moments, the Golden Knights haven’t come out successfully every time. The 2018-19 Golden Knights have faced real adversity. They started out poorly at just 8-11-1. They were out of the playoff picture as late as the middle of December. Things looked like they were headed down the drain prior to the deadline. But every time, they responded. It wasn’t always pretty, but they always fought through it and that’s exactly what they trying to do heading into Game 7 after failing on two previous tries to end the series. Heck, just inside of this series it’s already happened. The Golden Knights needed Game 2 after dropping the opener. They came out on fire scoring three times in the first seven minutes. But then, disaster struck as they gave up three before the period was out. What did they do? They went to the locker room, regrouped, and came out and played 40 minutes of solid road hockey to win a game. Again, it wasn’t pretty, but they eventually found a way. This team isn’t perfect like the 2017-18 Golden Knights seemed to be. They didn’t always have the answer, at least not right away. 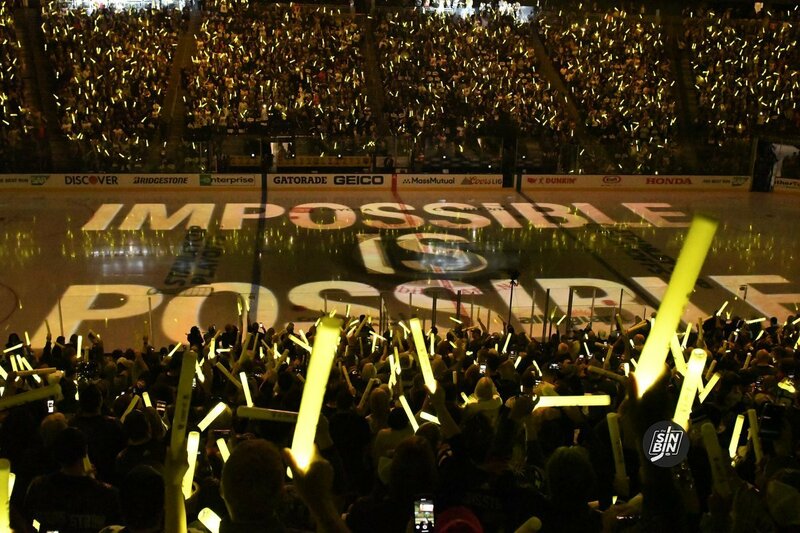 The hope now is that it’s all been a warmup for the most important moment of the year tonight at the SAP Center. They are battle tested and have the scars to remember that this has been far from the fairy tale of a year ago. That fairy tale ended abruptly, and horrendously because that team wasn’t ready to deal with the peril that came with the final boss. This team should be looking at the fact that 3-1 has turned into 3-3 and saying, “no big deal.” This team should be able to overcome what looks like a daunting task of winning a Game 7. This team is built for this moment. 60 minutes (or maybe more) will say a lot about the second year Golden Knights. Did they harness the adversity, learn from it, and use it to avoid a monumental collapse. Or was it all just a glimpse of the future. That this has been, still is, and will forever be remembered as, flawed. What doesn’t kill you makes you stronger. Or at least that’s what my favorite Kelly Clarkson song says (well, really it’s like my 8th favorite, but we’ll save my love for Kelly Clarkson for another day). So far, nothing’s killed the Golden Knights. The question is, are they actually stronger. We’ll know in a few long hours, and it’s either going to be agony or bliss. Welcome to Game 7. It’s the worst best thing in sports, and there’s no stopping it now. The stunned silence inside T-Mobile Arena Sunday evening was deafening. 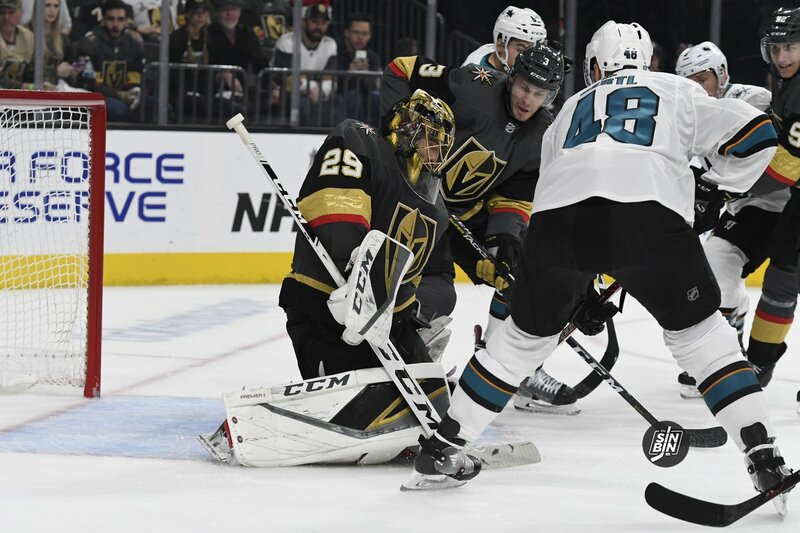 Tomas Hertl’s shot from the high slot had managed to elude Marc-Andre Fleury and the San Jose Sharks remain very much alive in this opening round Stanley Cup Playoff series with the Golden Knights following their 2-1 double-overtime win. Watching from the press box as the Sharks celebrated, I couldn’t help to think what was going through the minds of virtually all of the 18,458 who had come to watch their team advance to the next round, were expecting handshakes but instead left wondering if this was their last visit to their beloved Fortress. After all, it had been a strong effort by the home team. They had unleashed 59 shots on the other team’s goaltender. They had dominated play for good portions of the contest. They had spotted the visitors a 1-0 lead with 6.5 seconds left in the first period only to come back to pull even. So why aren’t we talking about the Knights playing the Colorado Avalanche this morning? Why is there still unfinished business with San Jose? The Sharks deserve the lion’s share of credit for extending this series to a deciding Game 7 Tuesday. They are a tenacious, opportunistic bunch. Their goaltender, Martin Jones, has rediscovered his game and his coach, Peter DeBoer, stuck with him when everyone was demanding he start Aaron Dell in net for Game 5. Jones has played great in his last two games and it starts with him when looking for any explanations as to why this series is still ongoing. Jones said he’s just trying to play the right way and not overthink things. It’s working out pretty well of late. The Knights tipped their cap to the San Jose goalie. What else could they do? But it’s not just San Jose’s goalie that has the Knights in this position. Hertl and Logan Couture, two players I had said before the series that the Knights had to contain, have dominated. Couture got the first goal and he has four in the series. Hertl has five goals. As a team, the Sharks have 18 goals, so that’s two guys generating 50 percent of the offense. Yes, both are tough to play against. But if the Sharks advance beyond Tuesday, they’ll be the reason why. How has this series flipped in the last 72 hours? In the first four games, the Knights’ top line was Paul Stastny, Max Pacioretty and Mark Stone. Combined, they had 12 goals and 28 points. The last two games? Zilch. Stone had a gift 1:25 into Game 6 as he had an empty net to shoot at. His backhand was wide. If he scores, it changes the entire complexion of the game. Pacioretty also had an open net and it took a great play by Pavelski to deny him as he managed to get his stick on Pacioretty’s at the right post before he could score. Tomas Nosek and Reilly Smith also had Grade A chances in the opening 20 minutes and both failed to convert. If any of those go in, we’re probably talking about Colorado. But hockey is as much mental as it is physical. And as we head to Game 7, the onus is on the Golden Knights to reboot mentally and emotionally. You could see those seeds being planted immediately after the game from Gerard Gallant and his players. What it boils down to is the Knights’ best players have to show up and outplay San Jose’s best. That has not happened in the last two games. Fleury has to play better. The Stastny line has to play better. The Knights’ entire defensive corps has to play better. And while it is encouraging to see Marchessault and his line starting to generate some offense, it may not be enough. The bottom six need to help with the heavy lifting. Cody Eakin and Alex Tuch have only a goal apiece. Pierre-Edouard Bellemare, Will Carrier and Ryan Reaves have been kept off the scoresheet the entire series. There’s nothing you can do when flukey things happen. Shea Theodore tried to prevent Hertl from scoring in the second OT and he got his stick on Hertl’s stick a split-second too late. And yes, maybe Fleury should have stopped that one, but that play all started by the Knights’ failure to maintain possession while on a rare OT power play. So if you’re looking to assign blame, you can point to all six players on the ice for Vegas. But what’s done is done. As the players said afterward, you turn the page and you move on. But the stakes are obviously raised at this point. There’s no more cushion to fall back on. No more house money to play with. It’s one game, winner take all. So why will the Knights win? On Easter Sunday the Vegas Golden Knights hosted Game 6 with a chance to advance to the second round of the Stanley Cup playoffs. Both teams started the game conservatively. The Sharks seemed to hold an early on chances on net but Vegas got their chances too. Mark Stone, Tomas Nosek and Max Pacioretty missed three high quality chances leaving the Golden Knights scoreless. San Jose’s Logan Couture got his team on the board off of a neutral zone mistake by Deryk Engelland with :06 seconds remaining in the period. The Sharks held a 1-0 lead after the first twenty minutes. Down one the Golden Knights continued to struggle getting their offense flowing. Thankfully Marc-Andre Fleury saved every opportunity the Sharks had in the second period. Jonathan Marchessault got Vegas on the board at the 11:21 with his third goal of the series. Each team had man advantages in the third period but couldn’t convert keeping the game even at one a piece after 60 minutes of action. Tied at 1-1, Game 6 would be decided by an double overtime period. Hertl would score a shorthanded goal for the game winning score. Steve Carp’s Sunday column recapping tonight’s game. It's always Hertl. We'll see you Tuesday. Goalie has to save that. One group who is really loving this… the Colorado Avalanche. For the first time in the series, we're headed to OT. Two interesting stats for you. 1) In this series, there has never been a lead change. SJS has the only lead in this game. 2) The Sharks have not won a game this season when they score 2, 1, or 0 goals. Aside from the penalty late, THAT is how VGK needs to play. Got to find a way to kill these last :50 of the penalty and then get right back to the way they've been playing. The Golden Knights are one win away from advancing to the second round of the Stanley Cup playoffs. Although it’s not an elimination game for Vegas, many players are mentally preparing as if tonight’s contest is a series-deciding Game 7. Yesterday, several Golden Knights expressed having a Game 7 mindset. Jonathan Marchessault has been a part of every clinching game in franchise history. The forward knows how crucial it is advancing in less than seven games. Something Vegas never faced during last season’s Cup chase. 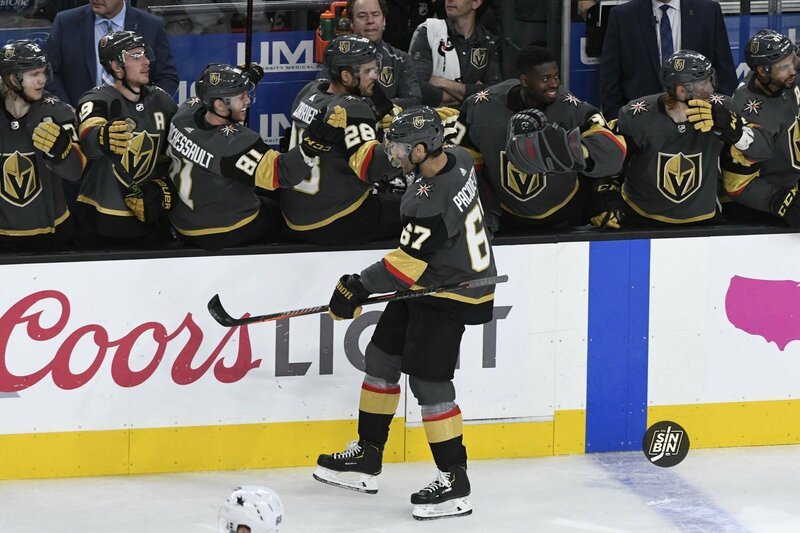 Golden Knights veteran Max Pacioretty has played in a handful of deep series over his eleven-year career. His focus for tonight’s game is the same as if it were an elimination game. Eakin is only concerned about winning because he’s aware of the edge San Jose would gain if they were to force a Game 7. The Golden Knights dropped their first closeout game in franchise history in Game 5, falling in San Jose 5-2. It was far from a perfect game for either team, but the Golden Knights certainly didn’t play a terrible game (like they did in Game 1). So, the difference between winning and losing is minuscule. I asked six players and the head coach the exact same question, “If there’s one thing that you think needs to change from Game 5 to help you win Game 6, what would it be?” Here are their answers. It’s a wide range of answers, but they all have merit. My answer is a bit of a combination of Theodore’s and Pacioretty’s. In this series, it starts and ends with the Golden Knights ability to put pressure on the Shark’s defensemen. The best place to do it is in the offensive zone with a good forecheck, but it applies in the neutral zone and defensively at the blue line. The Golden Knights need to be tighter to the Sharks players as well as a bit more connected as a unit when they are trying to get the puck back. This being said, it’s not like the Golden Knights were bad at it in Game 5, they just didn’t capitalize on the mistakes they created. There were five or six terrific chances that if Vegas converts just one, we may not even be talking about the Sharks anymore. So the biggest piece that needs to improve for me is the final one. When the chance is there, bury it. At home, they’ve been able to do it against San Jose, especially early in games. It has to happen again in Game 6. We head back into The Space podcast studio to preview Game 6 and chat about the rest of the series. Hosted by Ken Boehlke and Jason Pothier. With the exception of last night’s Game 5, at the end of games in this first-round series I catch myself having the same thought, how do players have the energy to beat each other up after a playing a grueling 60-minute playoff game? Come to find out Golden Knights forward Jonathan Marchessault has had the same concern. Of course we can’t let the Golden Knights off the hook but San Jose was out of control up until last night. Evander Kane, Timo Meier, Marcus Sorensen and others have created several barroom brawls at the end of their three losses. Causing multiple game misconducts, and unnecessary injuries. Vegas got a quick scare when Cody Eakin was bloodied up wrestling with Meier after Game 3. With little consequence why would a losing team stop instigating when the game is out of hand? If a penalty is assessed it won’t matter to an angry player because penalties don’t carry over. In a strange way, physical scrums late in one-sided games can benefit the losing team. Mucking it up after the whistle is one thing, but intent to injure another player when a game gets out of hand is beyond the code. Last night’s game was tight down the stretch so neither team could risk a minor or a severe penalty. Both teams played more disciplined and kept it clean after the horn. 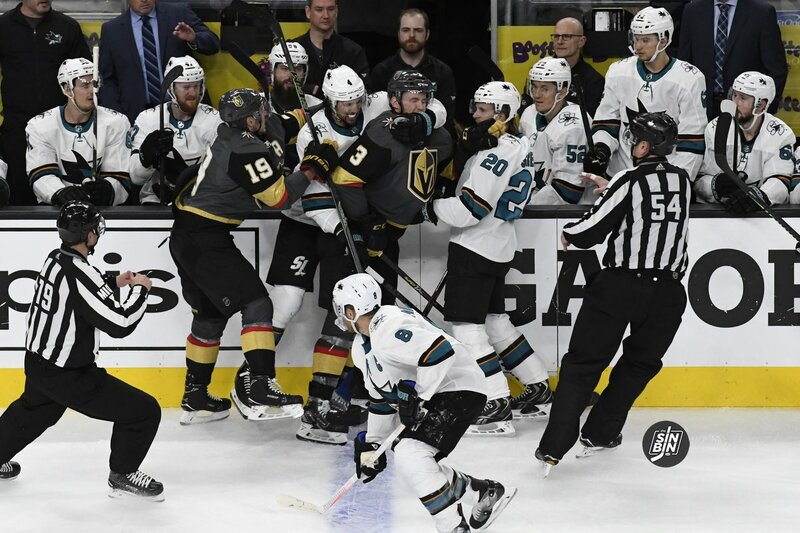 With two elimination games left I’d expect Vegas and San Jose to control their emotions and focus solely on winning, but if a game gets out of hand in the third, it shouldn’t surprise anyone if the extracurricular stuff comes back. That being said, don’t worry about the end of series handshake line, both teams respect the game and their opponent enough to forgive the insults, elbows and left-hooks. Game 5 returned to San Jose with the home team facing elimination. Vegas split Games 1 & 2 in Silicon Valley but took both at home to lead the series 3-1. For the second straight postseason the Golden Knights had a chance to clinch a series on the Sharks home ice. Sharks veteran Joe Thornton returned to the lineup after his one-game suspension for his illegal hit to the head of Tomas Nosek. For most of the series the Golden Knights jumped on San Jose quickly, but in Game 5 the tables were turned. Tomas Hertl scored his third of the series 1:19 into the game giving his team the early 1-0 lead. The Sharks would double their lead 10 minutes later on Logan Couture’s third goal of the series. With :30 seconds left in the period Vegas would get a lucky deflection off of San Jose’s Erik Karlsson’s sticks that slipped past goaltender Martin Jones. The Golden Knights trailed 2-1 after twenty minutes of play. The tempo slowed down for most of the second period. Each team traded chances but neither could connect. After a miscue behind the Golden Knights net San Jose’s Barclay Goodrow scored to put his team up 3-1. Vegas had some high quality chances late in the period but came up short. Trailing 3-1 after forty minutes the Golden Knights needed to score and play good team defense to have a chance to win. Fleury did a great job of shutting down San Jose’s offense while his team tried to make a comeback. After a tripping penalty by Sharks defenseman Erik Karlsson, Jonathan Marchessault snapped in the Golden Knights second power play goal of the game. Marchessault however would be called for a costly high-sticking penalty and San Jose jumped on the man-advantage. Hertl scored his second of the game giving the Sharks an important two goal lead late in the game. Joe Pavelski would score an empty-net goal putting San Jose up 5-2. 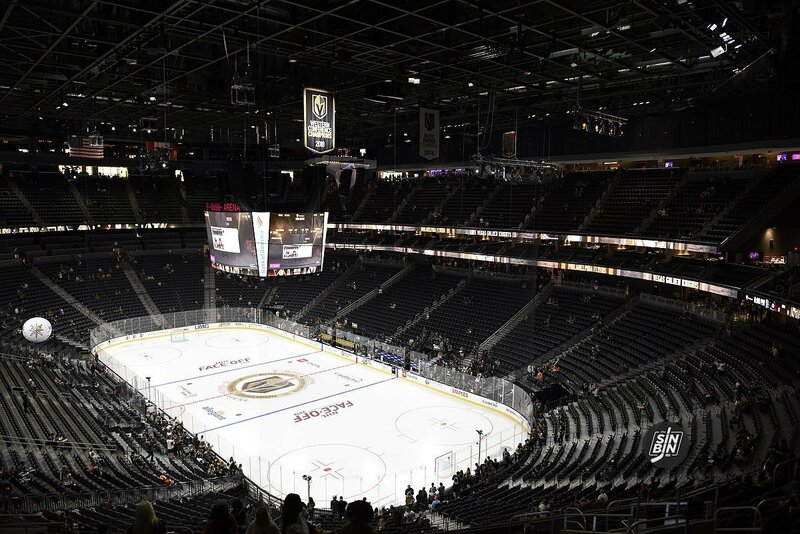 VGK will have their first chance in franchise history to close a team out at T-Mobile Arena. To make matters worse, Stone/Stastny/Pacioretty have created a total of ZERO high danger chances while on the ice together at even strength. Now, this period is starting to look like Game 1.